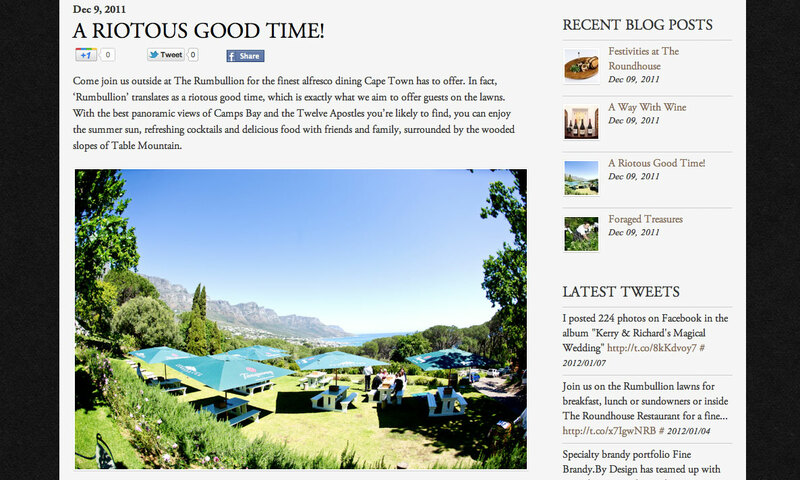 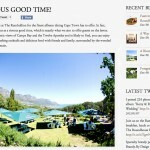 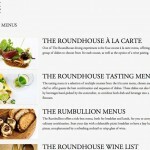 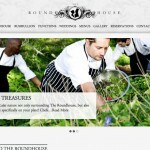 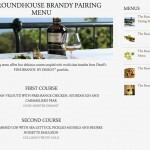 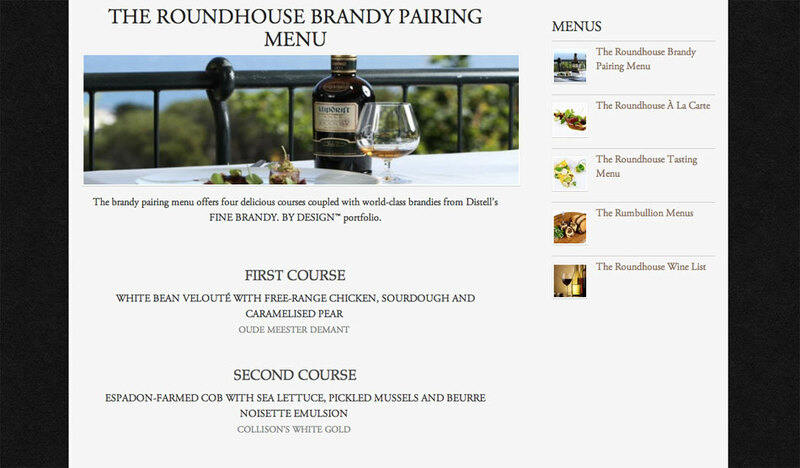 Consistently voted as one of the best restaurants in South Africa, The Roundhouse Restaurant needed a website that communicates it’s unique philosophy on cuisine, and it’s focus on the pairing of fine foods with fine wines and spirits. 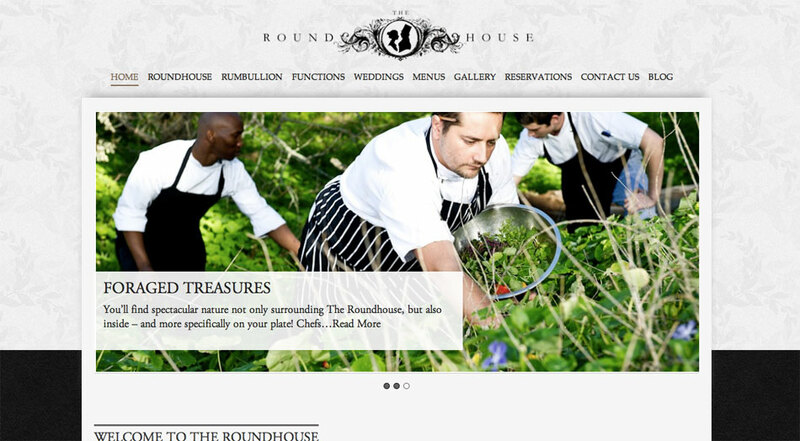 The website has also been designed with a responsive layout, meaning that the content rearranges to suit different screen sizes on mobile devices, perfectly adjusting to tablets and smartphones alike. 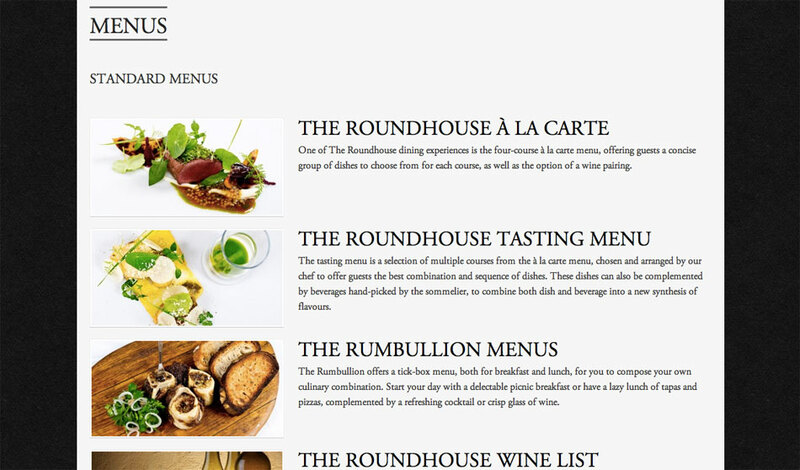 You can get a taste for how the website will look on different devices by simply opening the site and resizing the browser window!